Here is our next author, Clement Greenberg. I don’t intend to discuss him until next Tuesday, as I’d like to dedicate this Thursday to chatting and regrouping with regard to the semester as it has transpired so far. Nevertheless, I’m furnishing all four essays we’ll eventually discuss. For the record, Greenberg was an American critic who is widely considered one of the most important theorists of modern art. Just one bit of evidence to support this is the painting of Greenberg, by Mark Tansey, which depicts the critic as a victorious American general at the Versailles/Bonn Convention(s). We’ll have an occasion to discuss the complexity of Greenberg’s position of authority (along with Tansey’s depiction of him) very soon. For now, good luck with a handful of readings which may prove to be a formidable challenge. I hope this challenge will be a rewarding experience. I don’t imagine we’ll have time to discuss all these material in a single day, but here they are all here for anyone wishing to press ahead. Finally, I really enjoyed our meeting today, despite certain technical frustrations, and I hope you did too. It’s been a good semester so far and I thank you for the efforts and contributions you’ve made so far. Keep of the good work, and see you soon! Greenburg in “The Avante-Garde and Kitsch” discusses the degradation of real art in place of Kitsch, unsophisticated art that does the “reflection” for the audience. Industrialism gave rise to this form of art; however, Greenburg points out that its creator will turn into its destroyer. Modern society demands intensive labor that strips the ability of individuals to achieve the ability to understand and appreciate real art. We are slaves to basic literary understanding that allows us to just get by in life. Without the capabilities of average citizens from delving into real art, a chasm between the Avante-Guard and the public that support it needs is growing. The interrelated components needed to produce art in society have started falling down like a house of cards. Our culture topples alongside this house of cards. Greenberg warns this may lead to destructive regimes that may use kitsch to align themselves with the public soul to achieve totalitarianism. What is Alexandriunism and how does it differ to the Avante-Garde? I’m a bit unclear about what you mean when referring to creators and destroyers. But what you say about the conditions which allow for the emergence of Kitsch makes good sense. Real art does not simply happen, but it can only appear and survive in the right environment, and massive industrialization has certain done much to alter the cultural as well as the natural environment. I hope to address this issue very soon. As for Alexandrianism, this is a term you won’t hear much these days. But its meaning is clear enough: the condition which arise when a culture has run out of creative steam. It may well develop technical improvements and refine existing forms, but it is incapable of producing anything substantially new. It spins in circles and produces ever ‘smoother’ art, but it gets nowhere. Meanwhile, the Avant-Garde is interested principally in innovation, quite frequently at the cost of technical perfection. While this critique of superficial polish might seem unique to Greenberg, it can actually be traced back to two important precursors, the Victorian critic John Ruskin and the German Enlightenment philosopher Immanuel Kant. Perhaps we will be able to discuss both of them soon. For now, it’s not wrong to note the 200th anniversary of John Ruskin. I believe that Greenberg’s arguments surrounding modern art and kitsch belie a misunderstanding of what art is meant to represent. In my opinion, stating that art is supposed to be a certain way as a way of promoting ingroup/outgroup discrimination. Greenberg states that avant-garde culture is a way of giving meaning and status to a certain kind of art deemed “acceptable”. I believe that prioritizing one style of art over another is a means of controlling societal expression by those in power (as those who aren’t in the in-group – namely those who aren’t upper class and white – aren’t able to succeed in the world of avant-garde). For this reason, I personally believe that any art can be considered avant-garde as long as there is a concept that is fully realized instead of this label being controlled by gatekeepers in the art world. Greenberg states that avant-garde is meant to be made up of the “artist’s artists”. I believe that this is false because artists and creatives continually draw inspiration from the world around them and from popular culture. Greenberg states that the antithesis of avant-garde art is kitsch. Kitsch in German means tacky or corny, however, my opinion is that this undermines the artistic integrity of the creatives who work to produce art that might not be seen as “traditional” or “of value”. To sum up my point, I believe the distinction between avant-garde and kitsch is purely one that works to make the bourgeoisie feel better and simultaneously reinforce their dominance over grander cultural viewpoints. Greenberg certainly had many strong opinions, strong enough that they changed the course of art history. Art, criticism, and curation of museums would all be profoundly influenced by these opinions. While a very large number of individuals and institutions would adopt Greenberg’s ideas wholesale, others would modify them or react against them outright. But even these reactions would not have been possible without Greenberg’s prior groundbreaking utterances. Further, it’s important to consider Greenberg not simply as a causal agent, but also as a reflection of larger cultural, social, and economic shifts. You might not like diabetes, but that hardly means the disease in not worthy of study. As for specifics of Greenberg’s argument, he is certainly passing judgment on what is real and living art and what is simply fake. But this judgment is not arbitrary. It is based on historical, economic, technological, and social factors. Which is to say, Greenberg strives for judgement which is objective and demonstrable. The piece we’ve read so far is an outline of a general theory. Elsewhere, Greenberg conducts specific case studies intended not only to elucidate the work of certain artists, but also to corroborate and develop his general theory. This is precisely what scientists and historians do. While Greenberg is certainly trying to make a convincing case for his theory, he is hardly dictating how art should be made. Indeed, there were in Greenberg’s day very specific individuals and committees who did officially dictate the form and content of art, and who sternly censored any individuals who did not conform to authorized standards. Amongst other things, Greenberg’s essays seek to counter the governmental seizure of art and the subsequent misdirection of art towards ends which are entirely extraneous to it. When Greenberg talks about ‘artists’ artists’, that could elitist, and perhaps it is. Why can’t Greenberg celebrate art which if for everybody? Here we might consider, as a correlate, the difference between popular science and ‘scientists’ science’. There is a reason some persons might need simplified explanations of biology and physics, and its probably for the best that such simplifications exist. However, the types of articles read on line about biology and physics can hardly be considered equal to the kinds of article published in leading scientific journals. Greenberg’s point is persons who read popular science would be wrong to consider it equal in validity to cutting-edge research. Further, Greenberg would argue that in recent years the interval separating leading science from popular science has gotten so extreme that popular science is no longer even a simplification of the real thing, but rather an unwitting parody and travesty. At some point, pop science became fake science. All that I’m saying here about science, Greenberg would apply to art. Finally, while it might appear Greenberg is defending bourgeois values, it would be well to recall that Greenberg is an avowed Marxist who is actively seeking to promote progressive, if not outright revolutionary values. If he seems to be condemning the art of the masses, that is because he sees such art as the product of class division and the capitalist system. The masses did not create their own art, but it was rather foisted upon them by the same system that oppresses them. Greenberg fear is that capitalism’s relentless development, if left uncorrected, while no only ravage everyday material life, but it will also destroy what little remains of genuine human cultural accomplishment, leaving in its place nothing be ersatz art, Kitsch. You’ve raised a host of concerns in a single paragraph. I’ve tried to address them as best I can while having to engage with students from three different classes. Still, I’ve tried to respond as clearly and completely as time will permit. For now, I would recommend reading our assigned authors principally to understand as clearly as possible what they say and why they say it. This can be challenging for both intellectual and personal reasons, but it’s a challenge worth accepting. It’s only once we have understood an author clearly that we find ourselves in a position to offer effective critique. Thanks for your response. I certainly appreciate your time and interest. I play to address these issues in greater depth in class. Please stay tuned! This reminds me of the analogy we discussed in class about a window and how some art is about the window itself, while other art is about what is behind the window. Greenberg argues that avant-garde art is all about the window and avant-garde artists worry not about subject matter as much as how they express it. On the other hand, kitsch is only looking at what is behind the window because the window itself is not that interesting. I really enjoyed his progression of the history of art , and it is often hard to fathom that “creativity” or “personal opinion” are celebrated terms in today’s culture but may be the cause of so much bad art. Think about Greenberg’s discussion of the medieval art. In this artistic era, subject matter was predetermined and the artist placed their main focus on the materials and medium creating true avant-garde art. Would it be possible in Greenberg’s opinion for kitsch art to ever become avant-garde after the passing of time? For example, is Norman Rockwell art doomed to remain labeled as kitsch forever or could after the passing of time, be seen as a valuable contribution to avant-garde art? Additionally, was Vincent Van Goghs art, though considered “kitsch” in his life time due to the public’s general rejection of it, always avant-garde art simply mislabeled or kitsch turned avant-garde? If I understood correctly, it seems to me that Greenberg is arguing that the Industrial Revolution was responsible for the birth of kitsch. I would argue that, in response to this, if anything, the Industrial Revolution actually increased the efficiency in which high art spread and its availability to the masses. It was then, I would argue, that avant-garde began to arise; with the technological advances, elite artists could be imitated while the masses, with little to no formal training, wouldn’t know what to look for. Elite artists needed a way to show that they knew their trade inside and out, and what better way would be to focus on the techniques, rather the subject matter? This is my personal view on the subject, so it is possible that I could be wrong, but, in my experience, people tend to try to look cultured as opposed to out of the loop; kitsch, maybe even trashy, art, literature, and movies tend to be “guilty pleasures” for people. I thought it was interesting when Greenberg discussed the introduction of universal literacy by saying, “the ability to read and write became almost a minor skill like driving a car, and it no longer served to distinguish an individual’s cultural inclinations, since it was no longer the exclusive concomitant of refined tastes.” It is hard to imagine a life where literacy was not the norm. I understand that there are many people in the world who don’t have access to an education as we do, but we take our education and literacy for granted. In one of the other blog posts, it discussed the importance of reading and how it is scientifically proven to be good for us. Literacy has been taken for granted since probably before Greenberg discussed it in his first article, Avant-Garde and Kitsch, but it can benefit our lives in so many ways. We should use books to our advantage instead of viewing books, or even literacy, as a burden. Odd though it might sound, I believe Greenberg takes an ambivalent stance towards universal literacy, seeing it not as an inherent good. While he would balk at the suggestion, I think it might be fair to say he has received this attitude from the philosopher Rousseau, who argued the invention of writing was actually the downfall of humanity, as it soon led to the state of social alienation in which we now live. Rather than face-to-face encounters, most all of our ‘communion’ with others now takes place over a vast distance and in the reduced form of mere codes. As we have all fallen into a state of literacy, the point now is not to stop reading. As Greenberg will say in future essays, the task now is not to retreat but to push through to the other side. We should not simply read, but we must read the right things, and read correctly. Greenberg’s fear – and in this he is entirely in line with today’s most advanced theorists of education – is that most persons will be taught only the reading skills sufficient to allow them to process shallow and mind-numbing pseudo-literature, simplified science, fake philosophy, and manufactured news. If such persons – which is to say, the vast majority of us – do not learn to read better, and to read better books, literacy will not free us but rather imprison us. Hence, his tremendous concern over the Kitsch literature and art which have come to saturate almost every aspect of modern life. Avant-garde is claimed by the ruling class, while kitsch is what’s left for everyone below that. Greenberg discredits kitsch because it’s simple and easy to understand, and apparently the only thing the uneducated even could understand. Kitsch might not be as complex or profound or innovative as avant-garde, but it is still an important part of culture for a lot of people. The thing that Greenberg says is bad about kitsch is the same thing that Wordsworth believed was a characteristic of good poetry: being easy to understand. They both have good points, but avant-garde and kitsch are both necessary to society. On a side note, Greenberg says something that reminds me of Brave New World by Huxley: “The encouragement of kitsch is merely another of the inexpensive ways in which totalitarian regimes seek to ingratiate themselves with their subject.” Kitsch, in the context of this book, would be the endless supply of mindless media and products that intend to brainwash everyone into being happy. I wouldn’t say that this comparison is entirely accurate, since Brave New World is a very extreme case of brainwashing, but it was written around the same time as Greenberg’s article and I thought it was very interesting that they had a similar take on the idea of government trying to control the masses. It’s nice to observe what a curious reader and listener you are. I appreciate your efforts to take these materials seriously. Keep up the good work. That said, I’m finding it hard to reconcile your view that Kitsch is an important part of culture with your claim that Kitsch is brainwashing. Brainwashing, to be effective can’t be perceived as brainwashing. So, while Kitsch may not always scream at its consumer “Let me eat your brain!” that silence does not necessary indicate innocence. To my mind, this now-banal phrase is supposed to suggest examining the given (either on the page or in real life) from all angles in order to identify its inconsistencies and limitations. It seems to me that this is exactly what Greenberg is doing with our own media-obsessed industrial capitalism. Yet, semester after semester, students cry foul at the claims of Greenberg and other critics. Their response is almost invariably to question the critic’s right to judge, and to assert that everybody should be able to do and think and like and they please, without having to consider the conditions or the implications of any of it. To me this sounds like the very opposite of critical thinking, and a reflexive reaction against the possibility of having to do it. Interesting for me to observe, to say the least. As for Wordsworth, recall that I said earlier that he is the opponent that virtually all our authors this semester would attack. But why? Because he still represents the commonsense assumptions assumptions of our own day: that hard things are to be distrusted, that sophistication is decadence, the judgment is crime, and ‘unmediated’ human emotion is authentic and good, and that everyone should be left alone to think whatever they want. It’s hard not to find those reassuring views to be not just easy but actually true. But those are the very notions that we’ll be critically examining all semester long. Thanks for your willingness to be a part of this challenging and rewarding effort! I very much enjoyed reading about Greeberg’s ideas on “purist” art as well as confusion of arts and a dominant art form. I would love to see his take on the modern day shiftiness of art, or more accurately, “trendiness.” Of course, in our culture as soon as enough people call something trendy (polaroids, clothing brands, etc.) it becomes unoriginal. So the only way to really trail-blaze a new art form is to be innovative but also “relatable” enough for whatever you’re doing to catch on. The imitation he talks about also intrigues me personally, because as someone who likes to produce music/fiddle with film, it’s hard to not let my influences take over, and even subconsciously attempt to replicate my favorite types of music. For me, there’s a blurred line between inspiration and copy-cat-ing. The best way I can think of to find this sort of art-niche is to look at what industry needs next, and to capitalize on a wave of that industrialized attention, of course with the necessity of creating openly and honestly, not just trying to be a voice for the masses, but a reflection of what you really believe. I appreciate your interest in Greenberg. He can be a tough pill to swallow it first. But he’s worth the effort. What you say about struggling to avoid influences makes a lot of sense. While Eliot, as I hope to suggest in class today, encourages the artists to allow full range to influences, as that’s the only way to be authentically original, Greenberg takes the opposite. Purism, for Greenberg, means trying to focus exclusively on the materials at hand, and not getting distracted by external matters. While the Purism can seem unacceptably Puritanical in our own day of intersectionality, it’s wise to recall that we also live in a day of overwhelming distraction. Nobody can concentrate on a single thing for more than a minute or two. Any longer than that and we become nervous, restless, and bored. At very least, we begin the feel guilty for not being more ‘productive’. Greenberg, on the other hand, argues for the value of focus on a single task or problem, and sticking with it for as long as it takes to reach an valid and satisfying conclusion. Would Eliot approve of the Kitsch culture? I assume that he would not since its purpose is to appeal to the general masses’ lack of reading comfortably. I may be reading this wrong, but Greenberg implies the Kitsch indicates that the level of literacy among the population has degraded. Also, I assume that Woodsworth would enjoy the Kitsch culture since it does appeal to the general masses or the common man. Please correct me if I’m wrong. I really found the line about how Alexandrian-ism leaves important issues untouched if they are controversial still prevalent today. Then Greenberg states that avant-garde is dynamic (or flows) while Alexandrian-ism is static (still). I assume that avant-garde’s dynamic change is partially due to the fact that it’s willing to address controversial issues, but I do not know. Eliot would certainly not like Kitsch. He was well aware of the fact that bad art surrounded us on all sides. But he would have considered it beneath his dignity to take Kitsch seriously. Instead, he would have held his moral and artistic high ground, and not even have bothered to acknowledge junk art, which existed for those persons so devoid of personality and feeling that were not capable of understanding why anyone might want to sacrifice those things. Greenberg, on the other hands, while considering Kitsch to be repugnant, nevertheless thought the problem grave enough to merit serious consideration. This is where ‘historical criticism’ (Marxism) comes in. While Eliot would have had said we’ve always had low are for the vulgar masses, Greenberg would have responded, Sure, but never before have we had such truly awful art, nor have we ever before had so much of it; there must be some explanation for this wild proliferation of total crap. It is with this thought Greenberg begins his argument. Moving right along, Alexandrianism, in Greenberg’s essay, doesn’t refer to political or scientific issues so much as artistic issues. So, while it’s just an analogy, you might want to compare what Greenberg says about art to the state of medicine today in America. Each year we spend millions upon billions of dollars incrementally improving technologies and pharmaceuticals to keep people alive longer. The thing is these improvements cost so much that only a very small fraction of the population can really afford them. Everybody else must either go without and die, go into staggering debt, or get the insurance company to pay for it. But the overriding thought is that anything short of the very best medicines and treatments is not good enough, if only because America must be number one! This is why medical costs are so out of control in America, while they are still reasonably affordable everywhere else. The thing is, all these ‘new’ innovations, when you begin to analyze the results them provide, are only able to keep persons with access to them alive for a few more days or even hours. We regularly spend a fortune in order to grant a single persons only another couple breaths. With that same amount of money, we could keep dozens of persons alive for many more years. More and more resources are continually poured into solving the same old problems. We get incrementally better at the solutions, but always with diminishing returns from greater investments. Meanwhile, nothing genuinely new – for example, socializing medicine, or treating individual health as a function of social conditions – is ever tried. You might call this ‘medical Alexandrianism’. Meanwhile, Alexandrianism in Greenberg’s original sense, is about creating more and more minute ways to solve the same old artistic problems. In our own day the most glaring example of this is Hollywood. How many times can that industry recycle the same old characters and plots? To the industry, it doesn’t matter how often they remake Batman or Spiderman or whatever else, because those characters are not even the point of the movies. All anybody, including directors and producers, cares about is special effects. We regularly spend millions and millions of dollars on the very latest in computer-generated images. But for what? The effects get sharper and shaper, while the films themselves grind themselves ever deeper into the same old rut. As you observed above, “creative activity dwindles to virtuosity in the small details of form, all larger questions being decided by the precedent of old masters.” Let’s make another Star Wars! Who cares if it’s really just an updated version of the original Stars Wars. This one is going to have even crazier FX! In “Towards A Newer Laocoӧn,” Greenberg discusses the different characteristics of literature, painting, sculpture, music, and poetry. He says in poetry, metric form & rhyme are seen as too determinate for the essence of poetry, but in music, formal structure is essential. He says music had an advantage of being an abstract art, an art of pure form. He says in painting and sculpture, “all emphasis is taken away from the medium & transferred to subject matter.” Literature was dominant art. What is his main point with all these explanations? He talks about a variety of art forms, but I’m confused where he’s going with this. Also, what exactly is “plastic art”? Plastic art is a term that encompasses both painting and sculpture, as opposed to literature and music. In dealing with any of these art forms Greenberg will want to explain how they came to take the shapes they did, either good or bad. For Greenberg, quality will be determined not by truth to the subject matter depicted, but rather by truth to the materials used. Because of the very specific physical properties of the different artistic mediums, one will be suited to one task while another while be suited to another task. Language effectively captures series of events but goes astray when it tries to create ‘word pictures’. Painting effectively captures isolated moments or static compositions but goes astray when it tries to tell stories. For instance, in the painting below by Masaccio, St. Peter is depicted twice on the same canvas. While some might say this violation the possible is a instance of license necessary to tell a story, Greenberg would argue the painter ought not to attempt storytelling at all. The job of the critic is to determine how faithful and artist was to a given medium and how an artist’s production constitutes a discovery of a medium’s capacities and incapacities, as well how individual artworks show an artist gaining control over a specific medium. In his essay, Greenberg argues, with this in mind, that a great deal of art has gone astray as it has tried to imitate effects which belong to a medium other than itself. Specifically, much art in the West has tried to imitate literature, which since the Renaissance has been the dominant art form. In other cultures, such as China, painting has instead emerged as the dominant art form, which explains the great emphasis place in that culture on calligraphy. In any case, the point of the essay is to convince the reader that that art is best which tries to restrict itself to its own innate capacities and free itself from any perceived obligation to be something other than itself. That art will be worst which, as you quote Greenberg, takes emphasis away from medium and directs it toward subject matter of any sort. In the case of painting, emphasis ought to be placed not on human figures or stories, but instead on two-dimensional compositions made from lines and colors. In the case of poetry, emphasis ought to be placed not on any specific meaning, but instead on the capacity of words to evoke other words and create patterns of association which merely suggest meaning without ever providing one. In The Plight of Culture, Greenberg mentions how advances in technology have almost ruined culture. He explains as we become more efficient in our work, the separation between leisure and work become much more clear. I recently finished reading an ethnography about the !Kung people. They are a hunting and gathering society and although they spend a lot of time collecting food, it is not necessarily hard labor. They do it casually as they talk amongst each other. The !Kung seem to integrate their work with their leisure time. This is in sharp contrast to U.S. culture where we see divides between what is considered play and work (I realize this is not always the case, since some people view their work as play). This brings us back to the point where our technology has indeed made our work more efficient but at the same time has made us numb to other things. Especially in our society today, we work long hours and it consumes our lives. It’s as though we don’t know how to relax and enjoy anymore. It’s interesting to see how we label societies like the !Kung as being more primitive, when our own society is losing “culture”. Yes. Because of his harsh reaction to Kitsch, it might not seem as so though Greenberg has any patience for more ‘primitive’ culture. However, the importance of folk traditions, and their unquestionable superiority to modern mass culture, appears everywhere through the essays we’ve been reading. I hope to discuss this topic in class today. Greenburg in the plight of culture points out that the post industrialism era has brought upon technological revolution that has benefited the lives of millions. However, at the heart of its benefits comes the decay of high culture. The modern era has separated work from leisure and has transformed the way in which we carry ourselves within these fields. Work is now associated with more purpose and meaning; however, our leisure has drifted to greater extents of aimless activity. 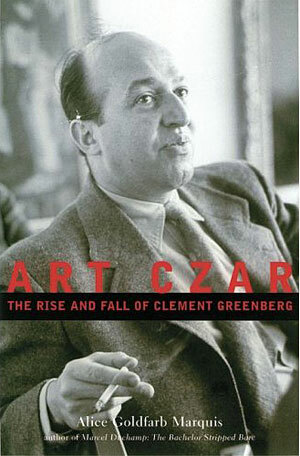 Greenburg goes on to claim that society can not go backwards, but instead must redefine high culture in the modern era. I think that technology in the modern era has benefited the world in so many different ways; however, I think that in order to rediscover high culture a damper must be placed upon it. Although surfing social media such as Instagram is easy and sometimes entertaining, I don’t think this form of art has the power to incite true reflection and satisfaction. I think the high culture that Greenburg wishes to redefine will not find itself in technology, but rather in learning how to control it so that we may open our eyes to the rich moments of life around us. You make some good observations here. Work has certainly become more productive, and we do now enjoy some basic amenities nowhere available in earlier societies. However, I don’t know that work has necessarily become more meaningful. If anything, it has become, as a result of the Protestant Reformation and the Industrial Revolution, simultaneously more boring and desperate. We now feel an every greater obligation to be busy and not idle, as the Devil has work for such hands. At the same time, however, work, now finely divided and simplified in the name of efficiency, has become almost entirely mindless. This debasing of labor in the current factory/executive system not only worsen worklife, but it also diminishes our ability to enjoy our off hours in anyway which would be satisfying and rewarding. All we can manage to do these days is escape. The debate between Eliot and Greenberg was over whether it would ever be possible to go back to a simpler day. Greenberg argues that no, though he does acknowledge the temptation to feel that such a retreat would be highly desirable. His argument, based on his awareness of ‘deep history’, is that human society has not undergone a transformation as radical as the Industrial Revolution since the Agricultural Revolution, over five thousand years ago. Undoubtedly, such a momentous change will bring much confusion with it, including the kind of confusion of the arts known as Kitsch. Nevertheless, the point for Greenberg would be not to retreat in fear, but rather to power through in hope. We should not dismantle, but rather continue to develop industry. This last point could certainly disturb anyone, including myself, at all aware of climate change. While environmental issues were not yet in the news in Greenberg’s day as they are now, he does not seem to be entirely insensitive to the issue. In ‘The Plight of Culture’ he mentions that only ‘global catastrophe’ would be able to deter the current march of modern industrial development. The growing awareness of such a catastrophe should not cause us to abandon industry – as if that were even possible. Rather, such fears should cause us to turn industry in a cleaner and more sustainable direction. Such new transformed industries would be not only more amenable to our physical health, to say nothing of sheer survival. But they would also be more amenable to our cultural needs, as intelligently organized labor would bring about new forms of collective expression; i.e., practical, affordable, and intellectually satisfying ‘folk arts’ for an industrial age. In such a collectively and intelligently manufactured society, there would no longer be a need from ‘great’ artists and ‘timeless masterpieces’. Everyday life would be more satisfying. If we have a need for greatness and grandeur now, it is only to hold us over until something better comes along. Schools such as the Bauhaus and De Stijl arose in the hope of bringing about this ‘something better’. At least that is what I believe Greenberg to be saying in his essay.